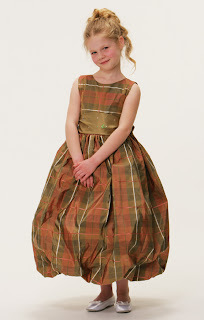 So what do you dress your little flower girl in?? I often get asked this question - my advice is to make sure the dress suits the girls style and age and also the time of year and formality of the wedding. I was doing some research for a client and came across some beautiful dresses. Joan Calabrese available in Philadelphia, Ardmore and Malvern. She uses great fabric combinations and beautiful trims. US Angels available all across PA including Philadelphia, Wayne, Ambler and Bensalem. 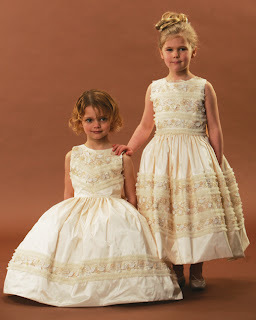 A little more traditional but perfect for the young flower girl. 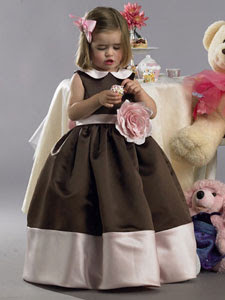 This dress comes in chocolate for a fall wedding or lighter colors for that perfect outdoor affair. and I just love this pink and brown dress as seen in the latest Martha Stewart Magazine.